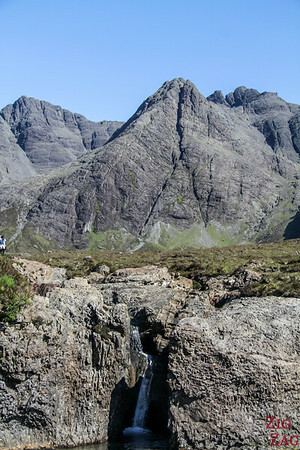 Planning a trip to the isle of Skye Scotland? 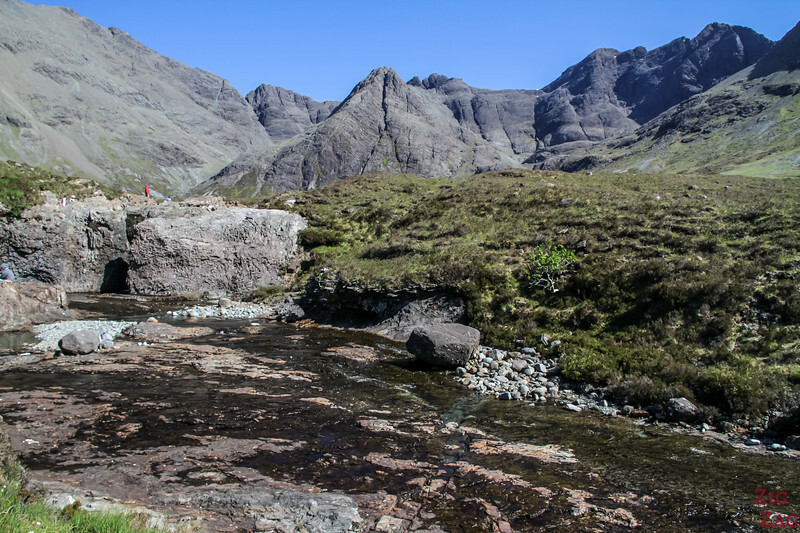 Don't miss the Fairy Pools Skye, a famous walk at the foot of the Cuillin Mountains in Glen Brittle. This series of pools are filled with crystal clear waters and communicate through waterfalls, so you half expect to see fairies flying around 🙂 Sounds good, doesn't it? Below is my guide with many photos! 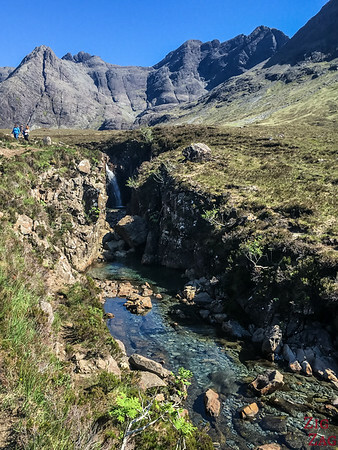 Why visit the Fairy Pools Isle of Skye Scotland? 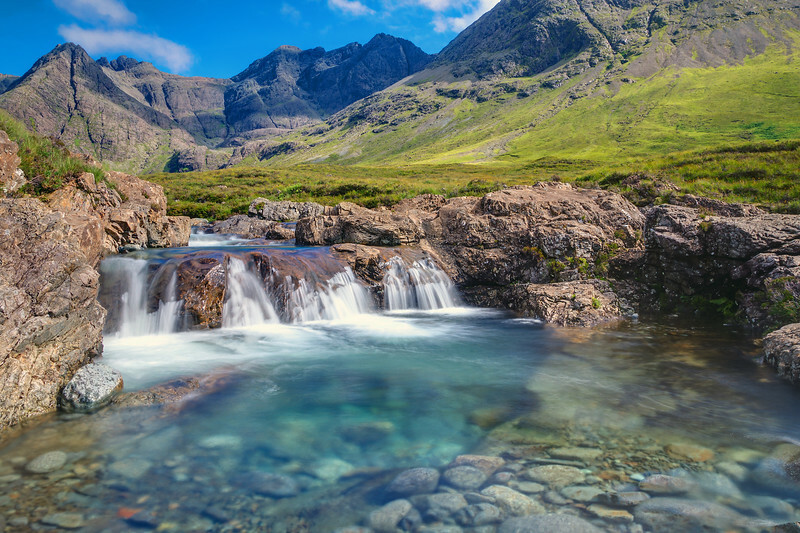 Why visit the Fairy Pools, Isle of Skye Scotland ? 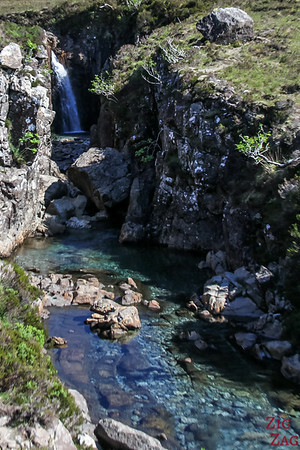 The Fairy Pools Skye is one of the main walks on the island. 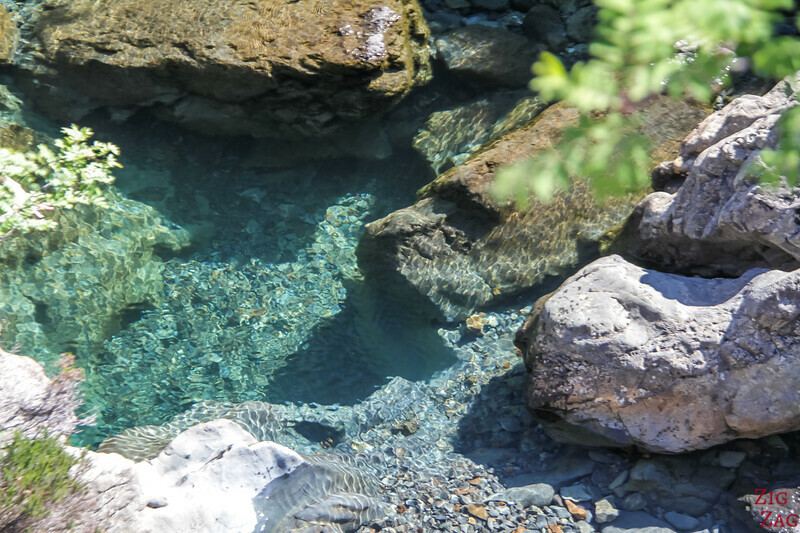 It takes you along a series of natural pools with clear waters that communicate with waterfalls. 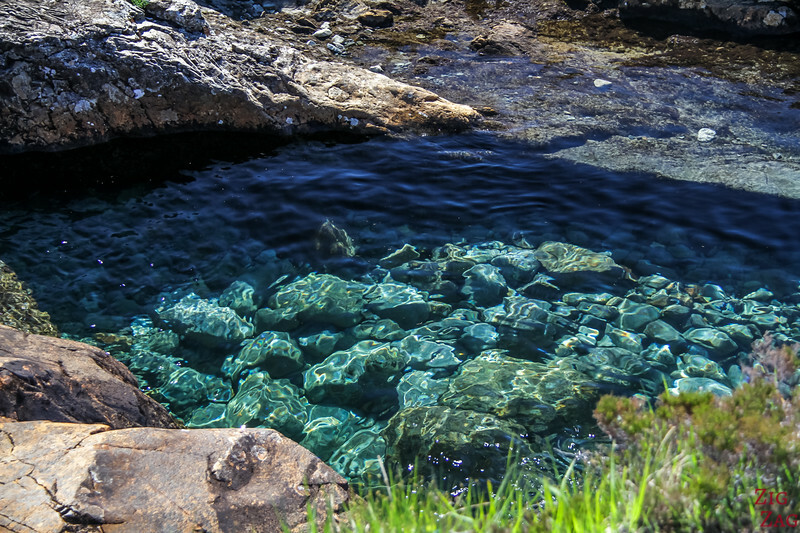 The rocks and colors are reflected making the water look emerald or turquoise. 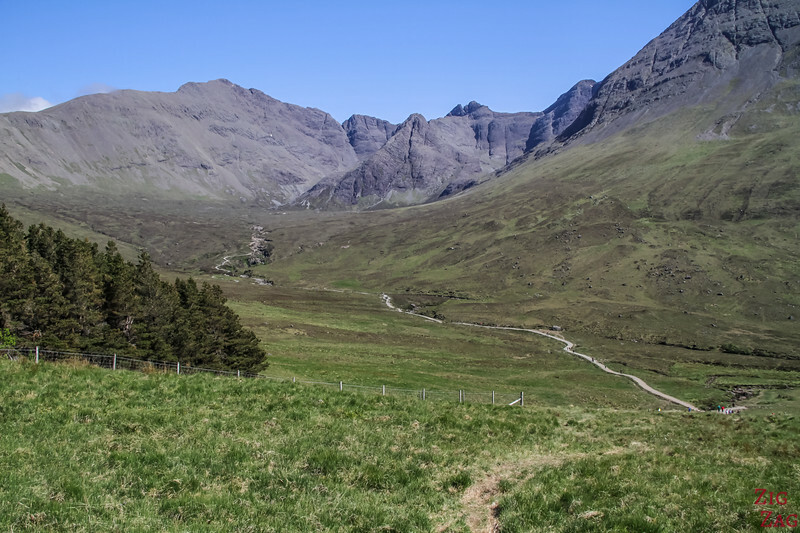 This is the beginning of Glen Brittle, with the Cuillin Mountains in the background. 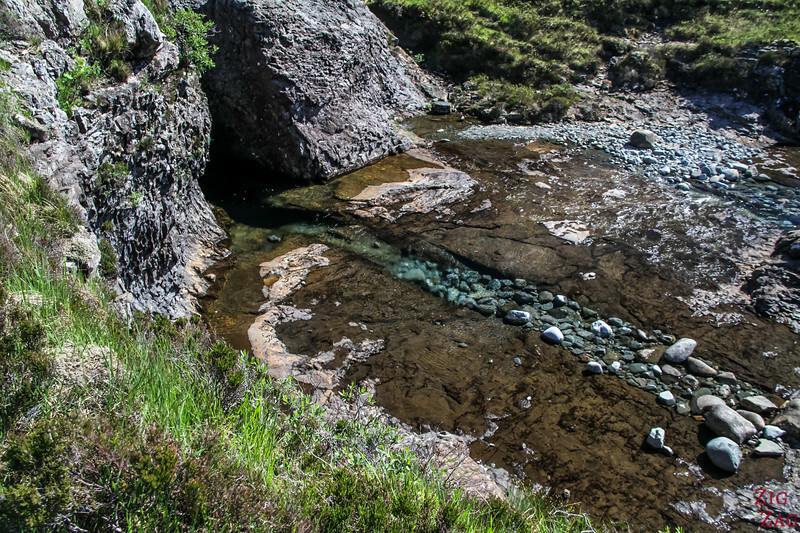 And the pools have been created natually by the Allt Coir' a Mhadaih river also known as River Brittle. Thanks to the Internet, the place has become a top thing to do in Skye island. However I must admit it was not my favorite, due to the lack of water when I visited (I know, in Scotland???) and the high number of tourists. It was still a nice walk, as you will see in my photos below, but it must be even better when there is a bigger flow! 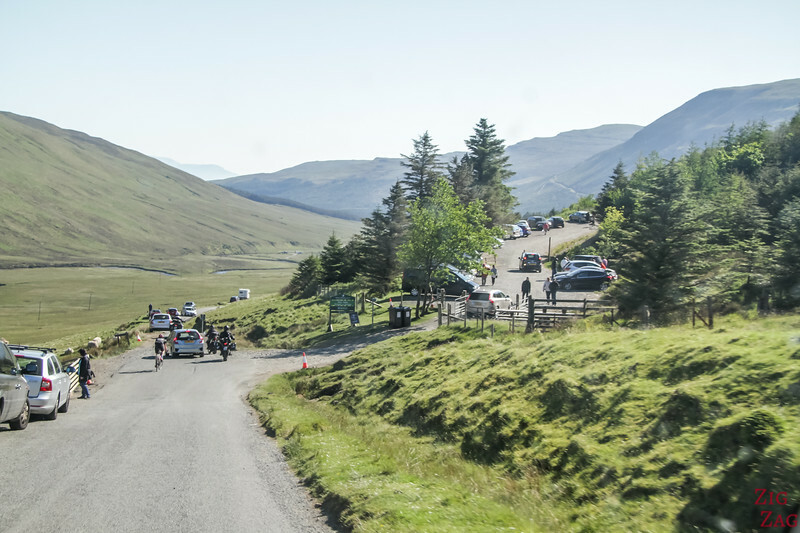 Some amazing places to see in Scotland are sometimes not so easy to reach with one lane roads and a lack of parking. You cannot miss the beginning of the walk. Between the number of cars and the cleared area. 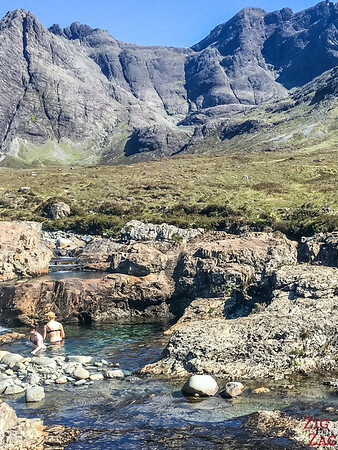 The Fairy Pools, along with many other beautiful places, are included in my eBook: The Road Trip Guide - Scotland. In the picture below you can see the track as observed from the road. 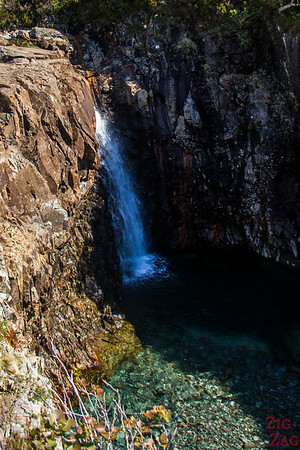 It follows the river and then then climbs up near the pools and waterfalls. 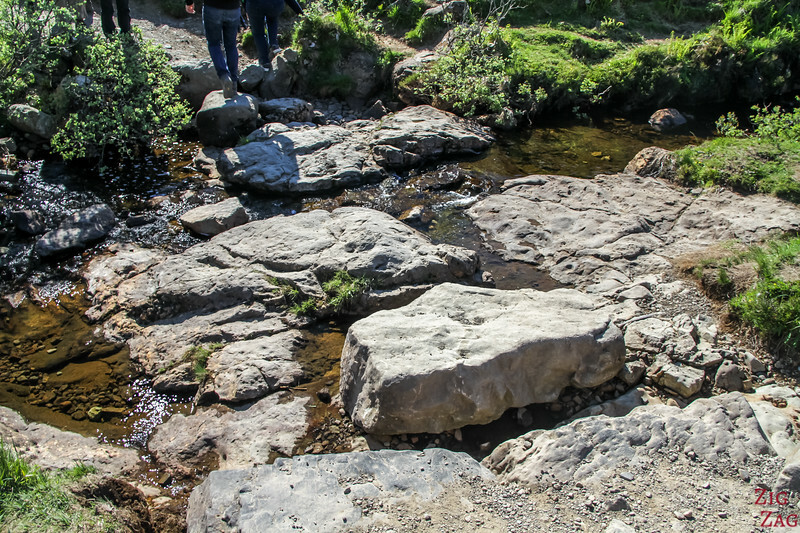 How difficult is the fairy pool walk? The path goes downhill and then up, but it is well maintained and not difficult technically. Just remember that on the way back to the parking you will have to climb the steep slope (not long though). The main difficulty are the fez river crossings on the track. 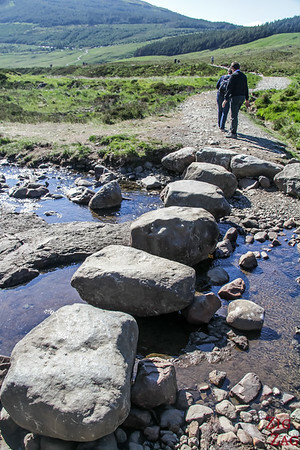 Below you see it with very little water so it is easy to cross but be aware that the water levels can be way higher. Jumping between rocks will be required. This is the view on the way back towards the parking. This is a return trip, no loop. No shade along the way, windy area. The path is well maintained but can get muddy when wet. As you can see below there are some river crossings that can be difficult when water is high. The parking fills up quickly and you might have to park along the road. 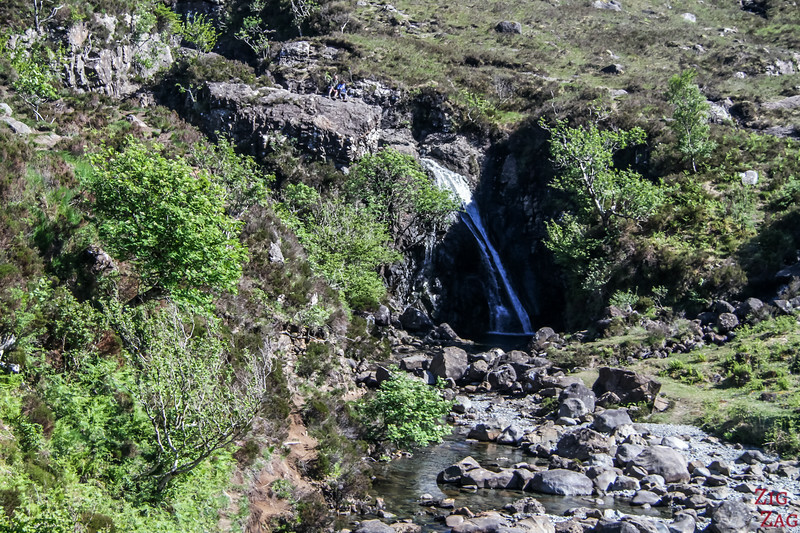 The isle of Skye is full of Fairy stories associated with landscapes such as the Fairy Glen Skye. If you want to read about some of the stories, Caroline Emerick researched the subject. It is easy to imagine how those beautiful landscapes of sparkling pools and waterfalls could be associated with a legend. 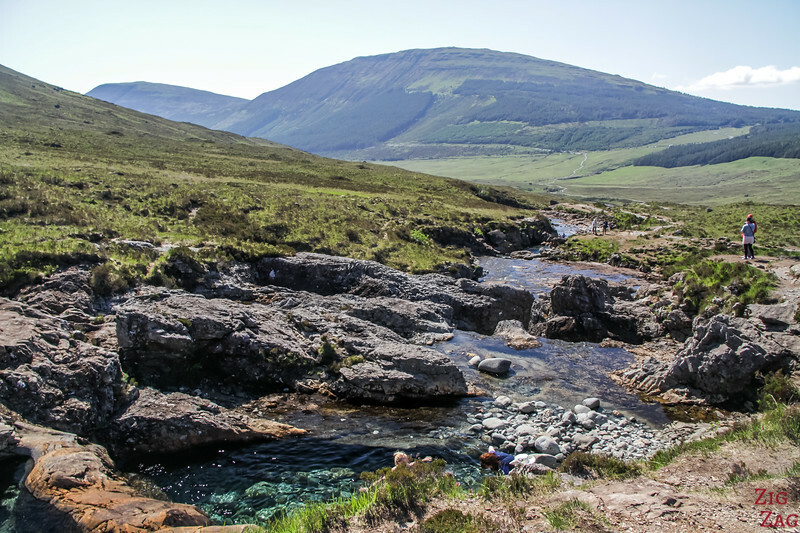 However, according to her research, there is no Fairy Pools Legend. Just a beautiful natural place that has triggered the imagination of many. So What is a fairy pool? The water gets from one pool to the other via waterfalls. Sadly on the day I visited, the water level was low. 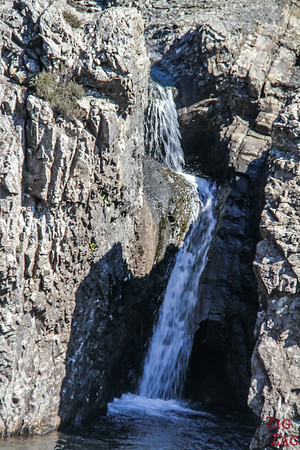 But those falls between rock formations were still charming. 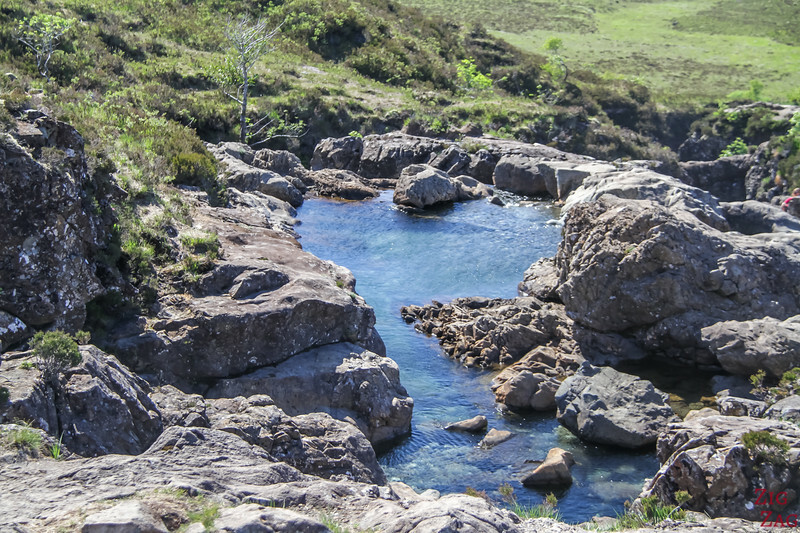 And what would be the Fairy Pools Skye without the pools? As I said before the water level was low, but I still got a sense of the pools and their incredible colors. The water is so clear that you can see every details of the rocks at the bottom. 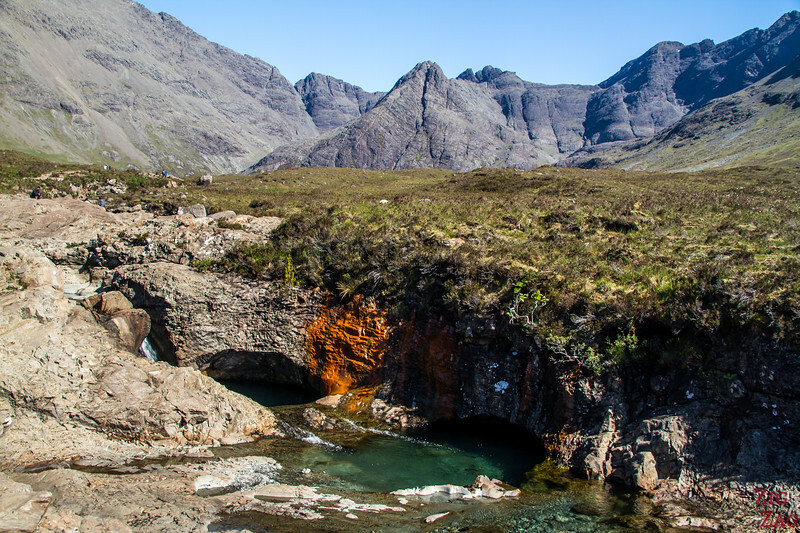 As you see in the Fairy Pools Skye pictures below, depending on their orientation and size, the color of the water varies. You can get off the track and get down to the water level for many of them. 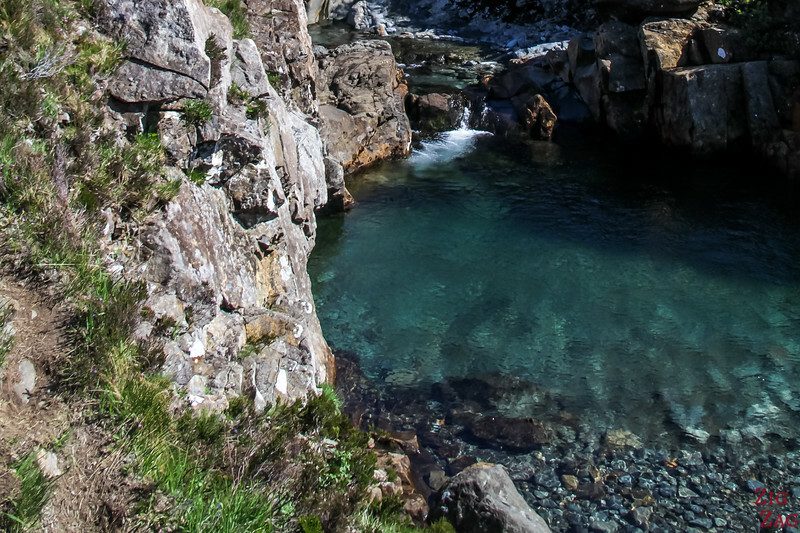 The Fairy Pools, in the heart of the isle of Skye, are a top spot to swim in Scotland. The clear waters are really tempting. However be mindful that the island is windy and not tropical, so have good clothes to dry and warm up after. You solution would be to hike early morning or in the evening to avoid the crowds. 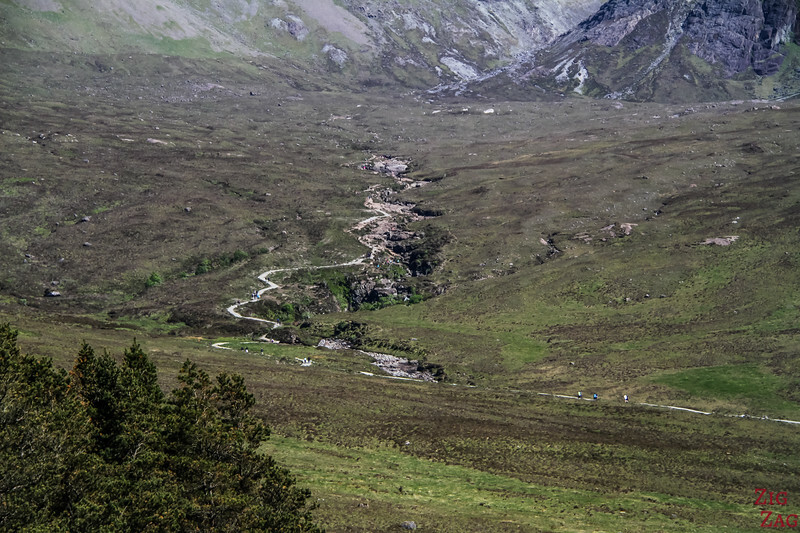 If you like hiking, you can keep going above the fairy pools and return via the forest path. 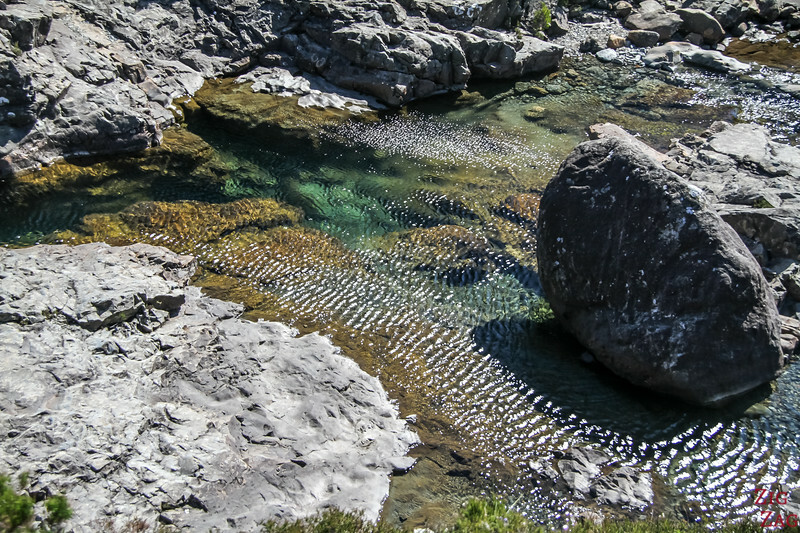 Would you brave the cold and swim in the Fairy Pools Skye?